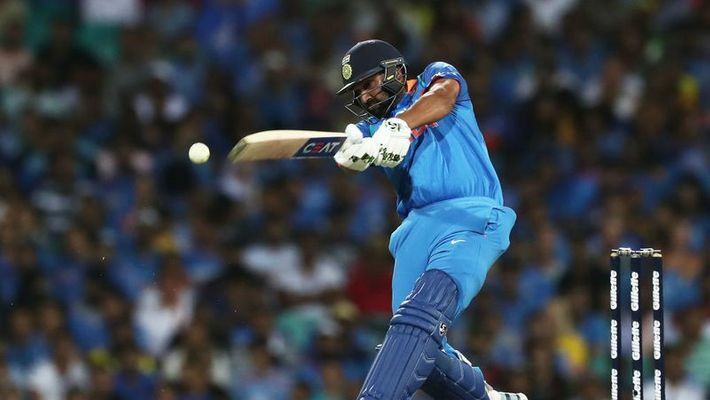 Hamilton: India's stand-in captain Rohit Sharma is set to break a major record during the third and final T20I of the series against New Zealand on Sunday. The Mumbai right-hander, who became the highest scorer in T20Is during the second match in Auckland on Friday, is on the verge of another milestone. The 30-year-old Rohit needs two sixes to surpass West Indies' opener Chris Gayle and Martin Guptill of New Zealand and become the leading six-hitter in the format. Currently, Rohit has hit 102 sixes from 92 matches while Gayle and Guptill are tied at the top with 103 each. Gayle accumulated 103 sixes from 56 matches while Guptill achieved the same in 76 games. Rohit, Gayle and Guptill are the only three batsmen to hit 100 or more sixes in T20Is. Also, Rohit has hit 215 sixes in ODI. In international cricket, he is fourth in all-time sixes list with 349. The leader is Shahid Afridi of Pakistan with 476, followed by New Zealander Brendon McCullum (398) and Sanath Jayasuriya (352) of Sri Lanka. In Friday's match, which India won by seven wickets to level the series 1-1, Rohit overtook Guptill to become the highest scorer in T20Is. He scored a 29-ball 50 as India successfully chased down 159. He has 2,288 runs, going past Guptill's tally of 2,272. India will be hoping to end their tour to New Zealand with another high by claiming the T20I rubber.